It is a wonderful thing when your ingredients shine. And the easiest way to achieve this, is to keep things simple, while harnessing all the magic you can with what you've got. A lemony prawn and broccoli soup. Chop off the prawn heads, and remove the shells. Throw the heads and shells into a pot with 2 cups of water. Bring to a boil, then turn the heat down to a simmer. In the meantime, devein the prawns, and set aside. When the liquid in the pot is reduced, takes on an orange hue and is wonderfully infused with flavour, discard the prawn heads and shells. Add the broccoli florets to the prawn stock, and bring it to boil. 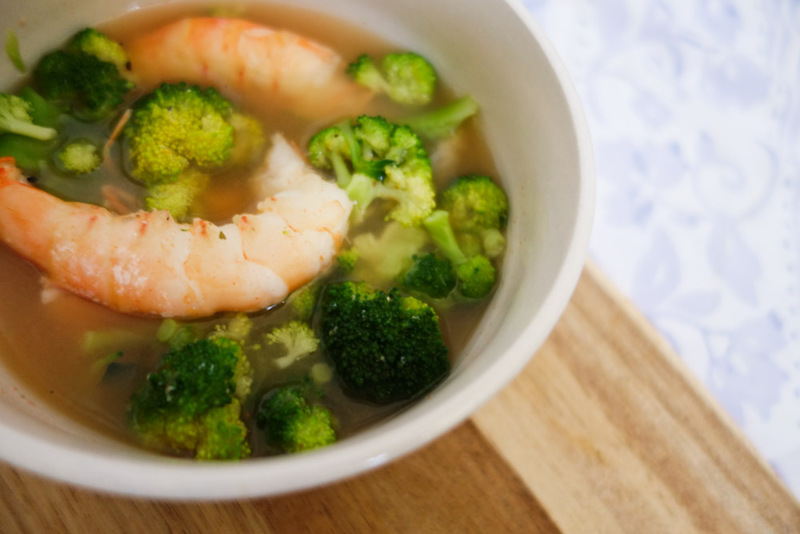 Let the broccoli cook for 1 minute before stirring in the peeled and deveined prawns. 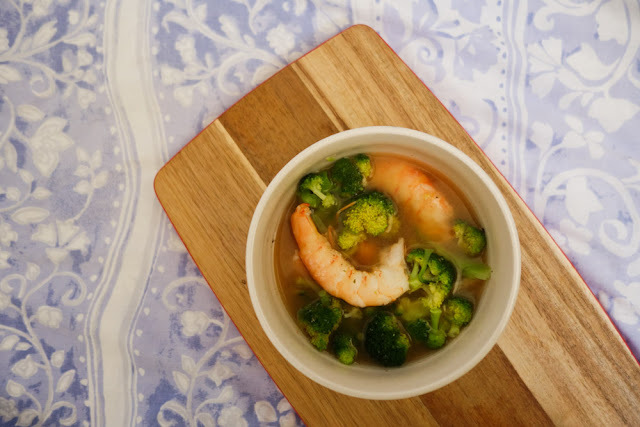 Reduce the temperature and allow the soup to simmer gently for about 3 minutes or until the broccoli is tender-crisp and the prawns are just cooked through. Turn off the heat, and add salt and pepper to taste. Transfer the soup into a bowl, squeeze in some lemon juice, stir with a spoon, and enjoy! 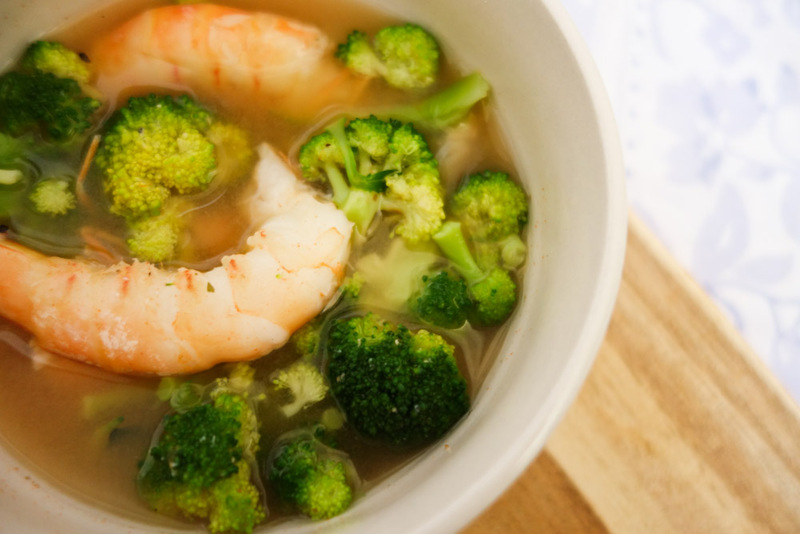 A simple broccoli and prawn soup, with a touch of lemon.